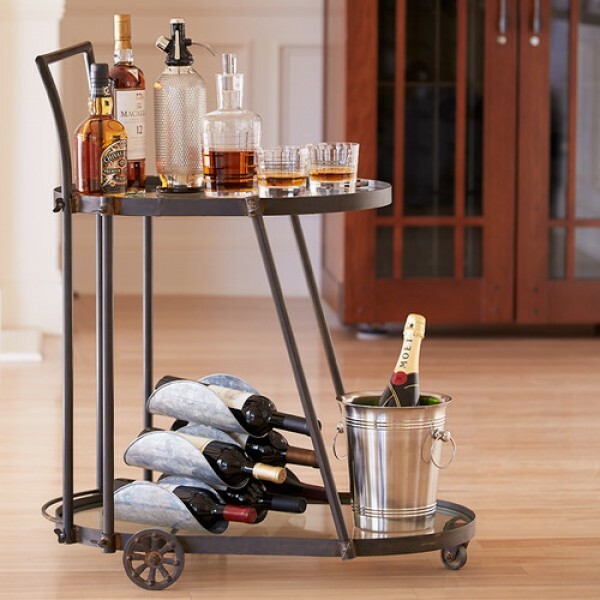 Victoria Station Bar Cart (P/N F313). Practical and pretty glass shelves complement the dark iron framework. The bottom shelf has extra height for storage, while the top shelf is sized just right for serving. Visible hardware gives industrial character to our Victoria Station Bar Cart.